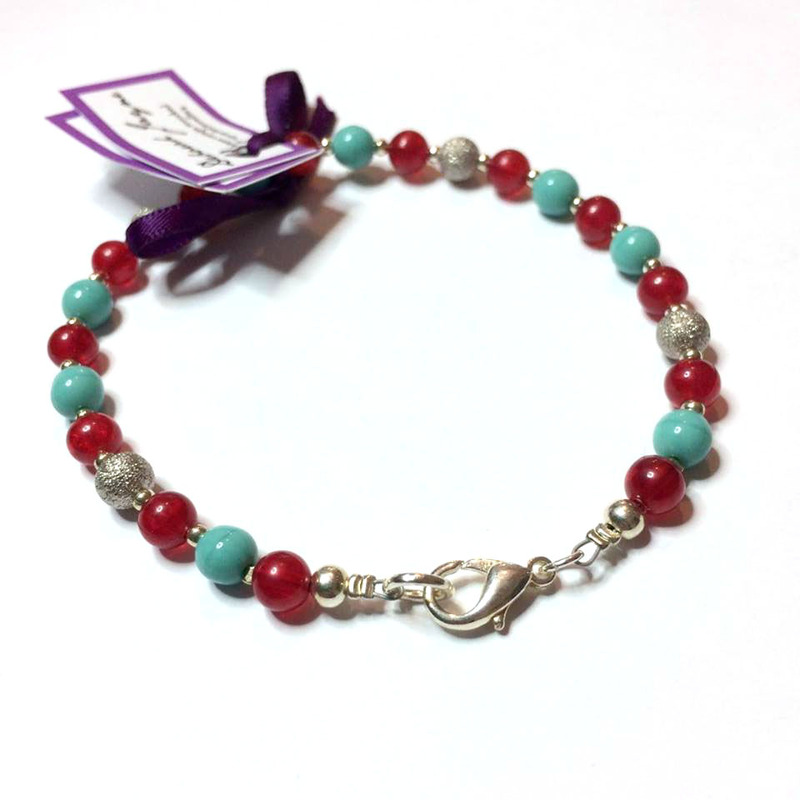 A stunning turquoise bracelet, with red and silver. 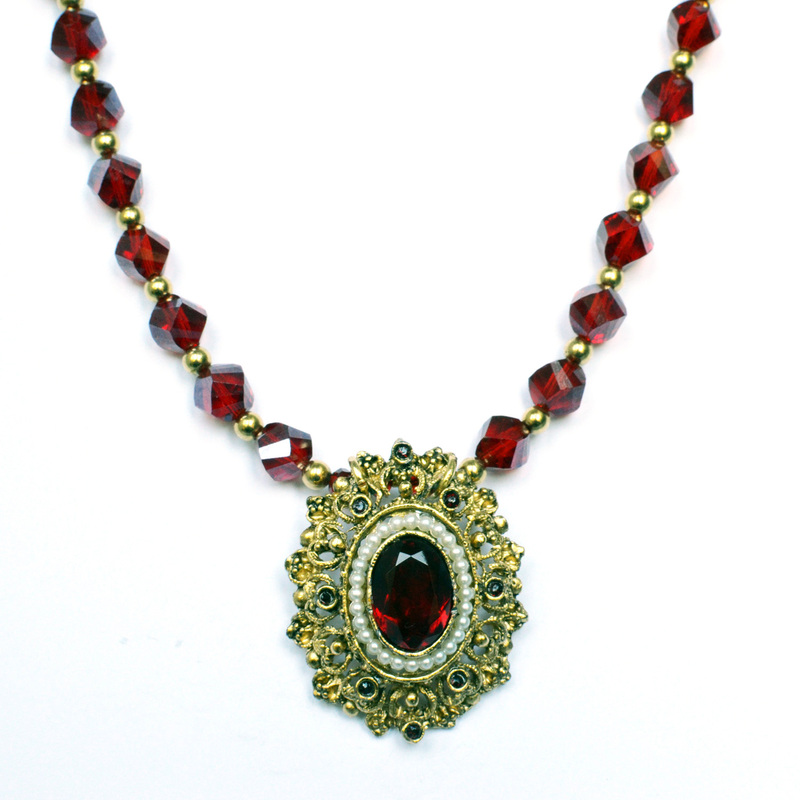 I love combining red with turquoise – an unusual and dramatic effect, with echos of ancient Egypt. 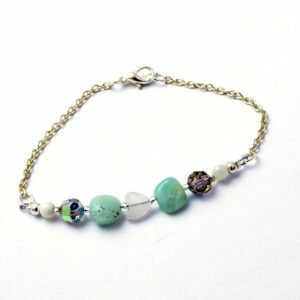 A stunning turquoise bracelet, with red and silver. I love combining red with turquoise – an unusual and dramatic effect, with echos of ancient Egypt. The turquoise beads I have used here are all recycled. The red beads are vintage and synthetic. All of the mixed silver spacer beads are new and some are silver plated. Silver plated & nickel free lobster clasp. Ethical luxury at its best!